Balance and stability, when engaging in activities of daily living, are two primary ingredients needed for anyone to gain the confidence necessary to function effectively. Keep in mind that we live in a three dimensional world. Our bodies are designed in a kinetic chain capable of functioning in multiple planes simultaneously. Through proper movement techniques, you have a greater chance of avoiding injury during activities of daily living. You lay the foundation to prepare your body for the demands of life, from lifting a two year old to fulfilling industrial workplace duties. Today we are going to focus on establishing a good, stable base for the physical demands of life. Our focus will be on the lower portion of our kinetic chain, the feet up to the hip joints. Training the lower body properly will result in balance and stability and confidence, regardless of the physical challenge at hand. This part of a multi-part series will discuss double leg exercises. In the next part, we will progress to single leg exercises. 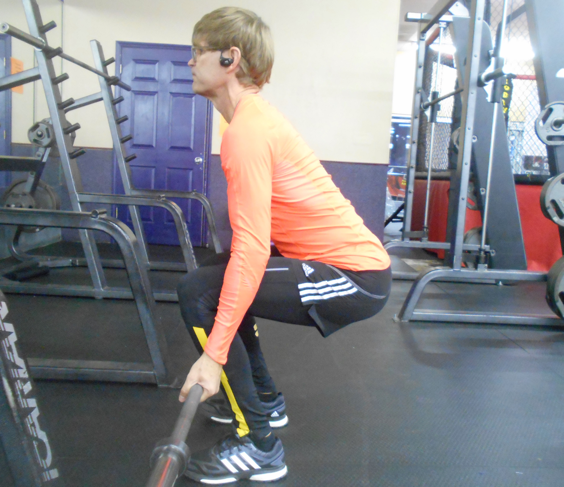 Two of the most common movements are bending and squatting. The primary muscle groups involved in these movements are the quadriceps, gluteals and hamstrings. These make up the large muscle groups of the legs and hips. Let’s begin with the squat. The squat movement recruits more muscles and joints of the body than any other. In addition to the large muscle groups previously mentioned, the core, back and shoulder girdle muscles and their associated stabilizers must engage to maintain proper posture and support loads being carried. This is why practicing the squat with proper form is so important for functional daily activities. It will prepare us to think about achieving the best form possible for lifting something that’s a little too heavy or awkward. Place your feet just beyond shoulder width apart. 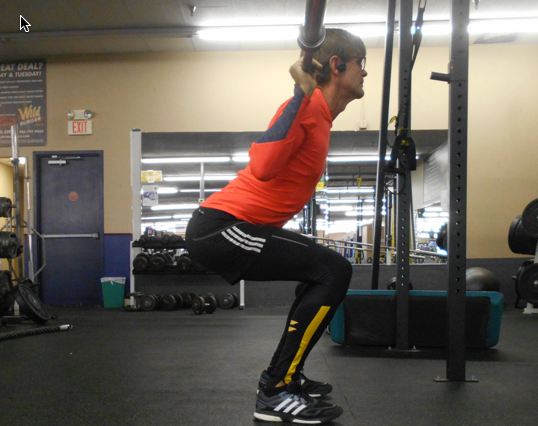 Then remember this important rule: squats always begin with the hips flexing, or hinging backward. We do not want to allow our knees to bend before our hips flex. We do not want our torso to drop forward before our hips flex. With that in mind, flex the hips back, and slowly lower toward the floor. Keep your back in a neutral (straight) position throughout the movement. Look straight ahead to keep your neck and head in alignment with your neutral spine as well. Lower down as far as you can without compromising this neutral form. Do not allow your hips to go below your knees. Remember that form is everything. If you can only make it half way into a “seated” position, that’s okay. Over time, you will be able to achieve a better range of motion because your muscles will become stronger the more you train. Regardless of the depth of the squat, always keep the angle of your neutral spine the same as the angle of your shins (parallel). In other words, don’t try to keep your back straight up and down, and don’t allow yourself to lean over too far forward. You can use a mirror to check your alignment, or have a friend tell you if your shins and back look parallel. It is also important to keep your knees aligned throughout the movement. They should remain the same distance apart at the top and bottom portions of the lift. Your shins should also remain vertical throughout the lift. 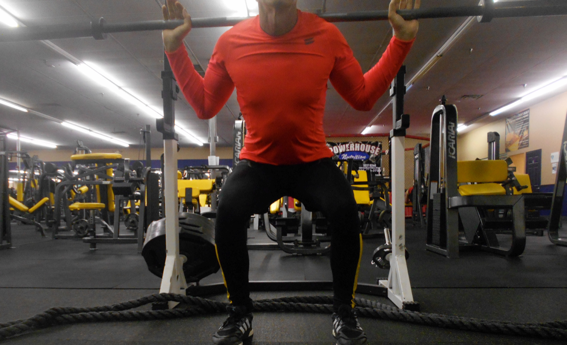 Once you reach the bottom of the squat, raise back up in the reverse motion while driving the hips forward. Tighten your gluteal muscles as you raise up. Repeat this exercise for 3 or 4 sets at 10-12 repetitions, or until you realize your form is being compromised due to fatigue. If this exercise is too difficult, locate a stable object to hold on to to help you balance through the motion. As you become more proficient, gradually add weight with dumbbells or a barbell to increase your muscle strength. Now let’s examine the deadlift. The deadlift is an exercise that recruits almost as many muscles and joints as the squat. The primary muscle groups involved in these movements are the gluteals, hamstrings, core and back. This exercise focuses primarily on training hip strength and functional core strength. From a form standpoint, the deadlift is very similar to the squat. It is again very important to maintain a neutral spine throughout the movement. Keeping the shins and spine parallel during the bending motion is again critical. Ensure that the knees maintain an equal distance apart throughout the movement. Begin by placing your feet at shoulder width. Bend down and grab a barbell or set of dumbbells. If using a barbell, grip it with one hand over the bar and the other under the bar for good control of the load being lifted. In the bent down position, make sure that the shins and spine are parallel. Make sure that your back is in a neutral position. Raise the bar while focusing on your form. As you raise the bar, drive your hips forward until you reach the standing position. Keep the bar as close to your body as possible throughout the lift. Slowly return the bar to the floor. Remember, the same rule on the hip hinge applies to deadlifts just as it did to squats. Let your hips begin the motion downward by hinging back. Then begin to bend your knees while maintaining a neutral spine and achieving parallel shins and spine. Repeat this exercise for 3 or 4 sets at 10-12 repetitions, or until you realize your form is being compromised due to fatigue. Squats and deadlifts are just two of many exercises that can greatly enhance our everyday lives. If we train our bodies functionally by doing exercises that require multiple muscle groups working in unison, we will be conditioned properly to meet the challenges of lifting that oddly shaped object, or that screaming and kicking two year old. We will be able to lift something heavier than normal, safely, because we at least understand that there is a proper form to attempt to achieve if possible. Remember, the key to success is building confidence in yourself. Having stability and balance is the best way to gain confidence in expanding your physical fitness goals. Anything can be built upon a strong foundation. Check in next time when we’ll review some single leg movements as we take our balance and stability training to another level.